Port of Hueneme also receives U.S. Army Corps of Engineers funding for routine maintenance project. VENTURA COUNTY — U.S. Congresswoman Julia Brownley, D-Thousand Oaks, recently announced Ventura County has received funding for the dredging of both the county’s harbors and the Port of Hueneme. Brownley also noted Channel Islands and Ventura harbors, as well as the port, play a critical role in driving the local economy and fuel job growth in Ventura County. 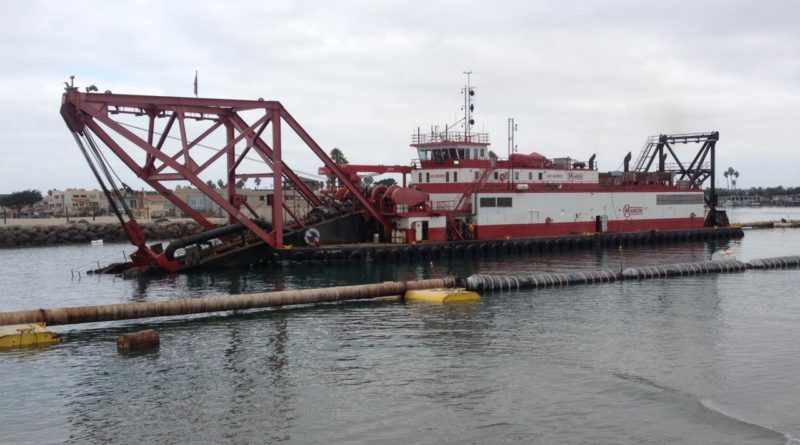 The U.S. Army Corps of Engineers’ fiscal year 2019 work plan includes dredging at Channel Islands Harbor at a cost of $6.29 million; $8.37 million set for Ventura Harbor. About 30 years ago, Congress established the Harbor Maintenance Trust Fund (HMTF) paid for by a user fee on the value of cargo shipped. The intent of the HMTF is to guarantee that no U.S. port (or harbor) would suffer from a lack of dredging and those who utilize the port pay for that maintenance. Additionally, the 2019 work plan provides $140,000 for the Port of Hueneme. These funds were awarded pursuant to donor port legislation, the enactment of which was spearheaded by Brownley in 2016. Donor ports, as they are called, contribute far more to the Harbor Maintenance Trust Fund than they receive back. This year the port received an additional allocation of funds due to Brownley’s legislation enacted as part of the Water Resources Development Act of 2016 ensured the Port of Hueneme receives equitable treatment as a donor port. Annually, sand traps in each harbor receive hundreds of thousands of cubic yards of sand as they shift down the coast and get re-deposited on the down coast beaches. Without dredging, harbor and port entrances can become unsafe for vessel navigation and the beaches become denuded of sand. This is why congressional funding for the dredging effort is so critical. “Thank you to our local leaders for working together once again to bring this important support to our community,” Brownley said. Dredging is set to begin in January 2019. Ventura Harbor, meanwhile, is home to four marinas for boaters: Ventura Harbor Marina, Ventura Harbor Marina Village, Ventura Isle Marina and Ventura West Marina. The county’s northernmost harbor or port suffered from a serious case of shoaling in 2016, limiting navigational operations at Ventura Harbor’s entrance. “More than 240,000 cubic meters of sand filled the front of the harbor entrance during the final two weeks of January , increasing sand sediment beneath the water’s surface to just shy of 1 million cubic meters and making it difficult for recreational boats and commercial vessels to access the Pacific Ocean or local marinas,” The Log wrote in an article about the shoaling event.